Welcome to Boot Camp! 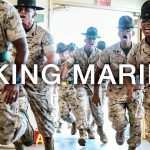 United States Marine Corps Recruit Training is a 13-week program of initial training that each recruit must successfully complete in order to serve in the United States Marine Corps. 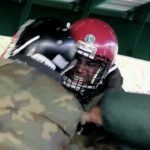 The recruits are sent through the obstacle course several times to test their endurance and strength during recruit training. The recruits were trained to familiarize them with techniques used when exiting helicopters and descending the sides of buildings. The recruits were trained in water survival techniques for the amphibious nature of the Marine Corps. 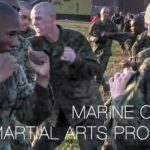 The recruits are taught pugil sticks to improve their ability to fight effectively in close quarters, with techniques from the Marine Corps Martial Arts Program. 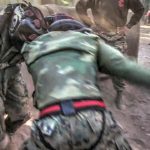 The recruits were trained on the basic bayonet techniques and the bayonet assault course as part of the Marine Corps Martial Arts Program. 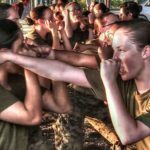 All enlisted individuals entering the Marine Corps, regardless of eventual active or reserve duty status, will undergo recruit training at one of the two Marine Corps Recruit Depots (MCRD): Parris Island, South Carolina, or San Diego, California. 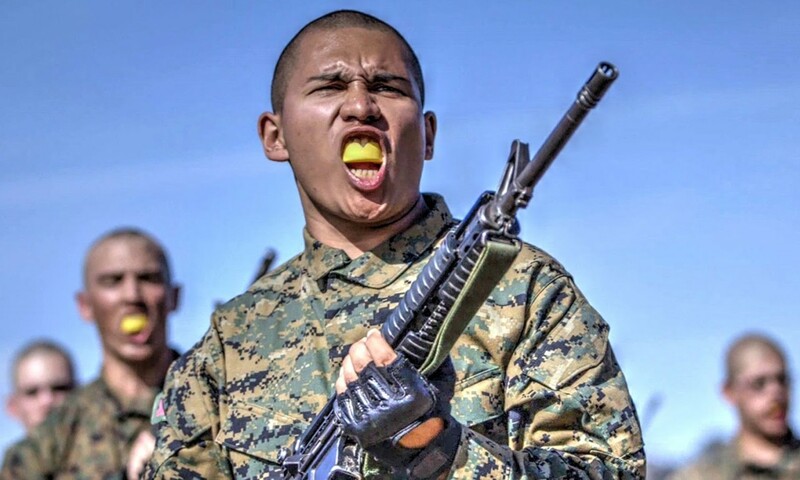 Posted On April 1, 2016 in Marine Corps, Military with 0 Comments.Tagged: basic training, Boot Camp, drill, drill instructor, Marine Corps Recruit Depot San Diego, Marine Corps Recruit Training, Marine recruits, Marines, MCRD, Obstacle course, Recruit, Recruit Training, Training, USMC.